Graduated from the scenery art faculty of the M. B. Grekov Art School in Rostov-on-Don in 1985. In 1987 started working at the Theatre of the Young Spectator in Vologda. In 1989 he moved to the Krasnodar Drama Theatre, and in 1990 — to the Rostov Academic Youth Theatre, where he worked as chief designer for 12 years. Has frequently worked with theatre and film director Kirill Serebrennikov since 1995. 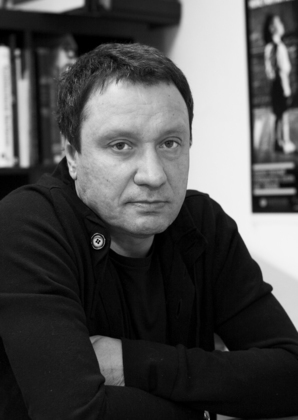 Nikolai Simonov was production designer of Serebrennikov's series Rostov-Daddy and set designer of his Moscow theatre productions Plasticine and C. E. O. at the Playwright and Director Centre, Some Explicit Polaroids at the Pushkin Theatre, Sweet Bird of Youth, The Naked Pioneer, Antony and Cleopatra. A Version at the Sovremennik Theatre, The Demon at the 814 Theatrical Association, Terrorism, The Petty Bourgeoisie, Playing the Victim, The Forest, The Golovlyov Family and The Pillowman at the Moscow Art Theatre, Joan of Arc at the Stake (Jeanne d'Arc au bûcher) at the Moscow International House of Music, within the framework of the Vladimir Spivakov Invites festival, Falstaff at the Mariinsky (Kirov) theatre, The Return of Persephone at the Moscow International House of Music, within the framework of the Cherry Forest festival, Figaro. Events of One Day fopr the Yevgeny Mironov theatre company. He also worked on productions by Yury Butusov (Resurrection. Super, Oleg Tabakov Theatre), Nikolai Skorik (The Last Day of Summer, Moscow Art Theatre), Yevgeny Pisarev (Leading Ladies, Moscow Art Theatre). Among his notable prizes are the Triumph (2002), Crystal Turandot (2005) and Chaika (2005) awards.